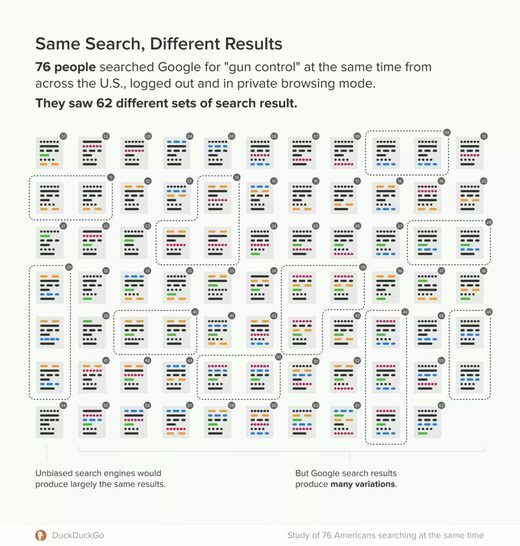 A new study claims that Google personalizes search results even when a Google user is logged out of their account or browsing “incognito.” Tests for the phrases “gun control,” “immigration,” and “vaccinations” all provided different results for different test users which could reportedly not be explained by changes in location or other expected factors. 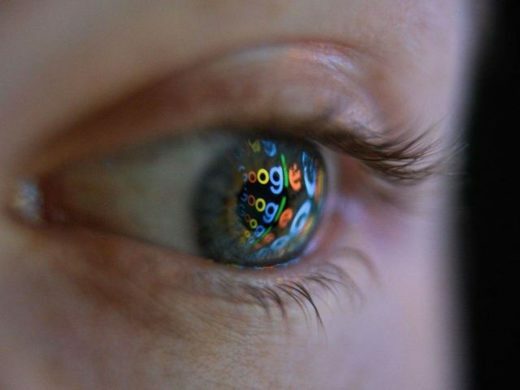 A new report from the privacy-focused search engine DuckDuckGo claims that Google still suggests personalized search results to users even when they’re logged out of their account and should not be easily identifiable by the search engine, The Verge reports. 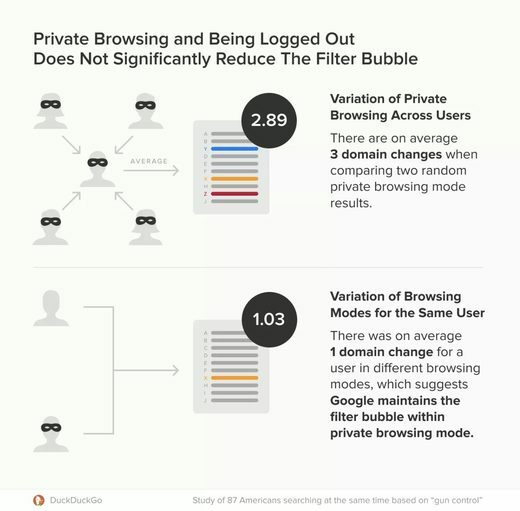 The study by DuckDuckGo alleges that even when logged out of Google accounts and browsing in the Chrome browser’s incognito mode, it is impossible to avoid Google search personalization. The study was conducted by DuckDuckGo in June 2018 during the U.S midterm election season. 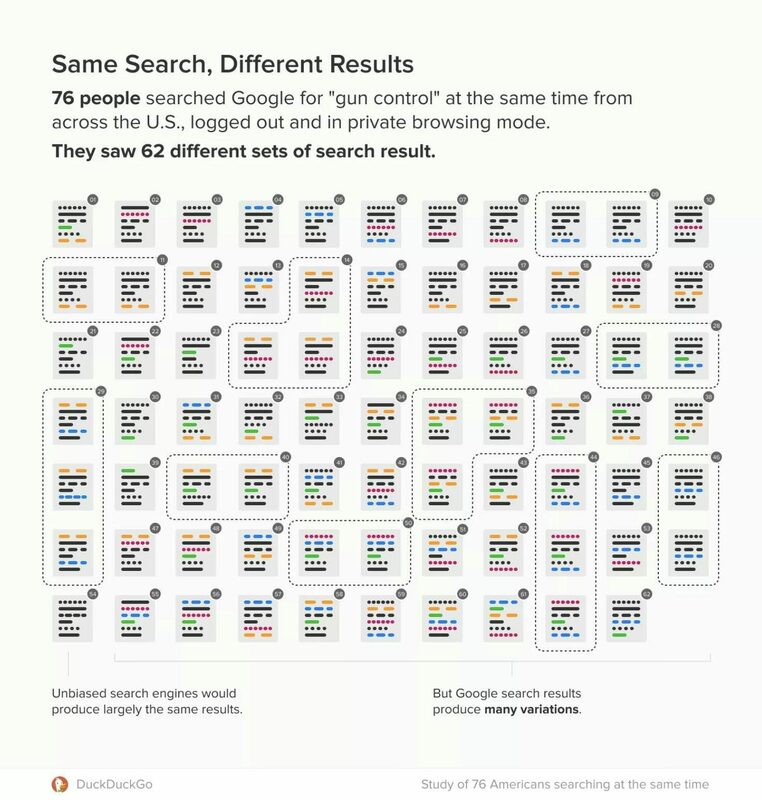 This was done in order to determine if the search giant only provides information to people based on their previous search history, further enforcing pre-conceived ideas and ideological thought bubbles. DuckDuckGo is a Google competitor and has a bias against the search engine, but the results of the study are nonetheless quite revealing. “We saw that when randomly comparing people’s private modes to each other, there was more than double the variation than when comparing someone’s private mode to their normal mode,” the study reads. Despite increasing their use of personalization tools on products such as Gmail and Google Assistant, Google has claimed to be moving away from personalization in search tools. Pandu Nayak, the head of ranking at Google search, told CNBC in September: “A query a user comes with usually has so much context that the opportunity for personalization is just very limited,” but Google did state that it uses “immediate context from a prior search,” when suggesting search results. Read the full report by DuckDuckGo here. I have a lovely partner and 3 very active youngsters. We live in the earthquake ravaged Eastern Suburbs of Christchurch, New Zealand. I began commenting/posting on Uncensored back in early 2012 looking for discussion and answers on the cause and agendas relating to our quakes. I have always maintained an interest in ancient mysteries, UFOs, hidden agendas, geoengineering and secret societies and keep a close eye on current world events. Since 2013 I have been an active member of theCONTrail.com community, being granted admin status and publishing many blogs and discussion threads. At this time I'm now helping out with admin and moderation duties here at Uncensored where my online "life" began. Notre Dame: Another “Christ-Church” Destroyed. A Satanic Agenda at Work? Updated 20/4/19 Pet Goat Prophecy!